Having recently been introduced to looking at the natural landscape in terms of carbon storage and points of exchange through taking part in the Flux Chamber investigation at the Environmental Arts Festival Scotland EAFS. I am increasingly conscious that the litter that I and thousands of people this weekend (18th-21st Sept) are surveying and collecting for the Marine Conservation Society’s (MCS) annual Big Beach Watch across the UK represents vast volumes of wasted/discarded carbon, that may of only been used once. The MCS annual survey enables pollution sources to be identified and is a vital tool in being able to take action to pressurise DEFRA and governments to bring in positive environmental legislation e.g. the charges for one time use plastic carrier bags. 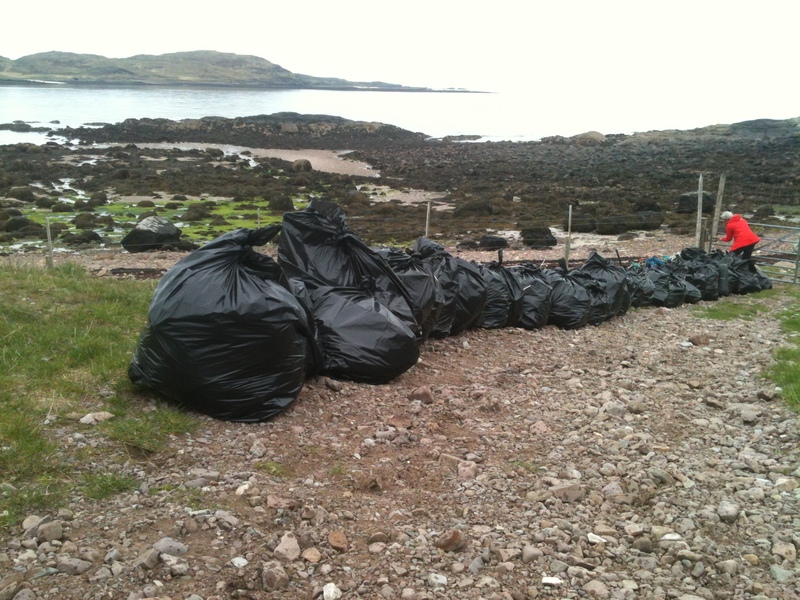 Last October our MCS survey on Ullapool East Shore Beach recorded a marked drop in the number of carrier bags. 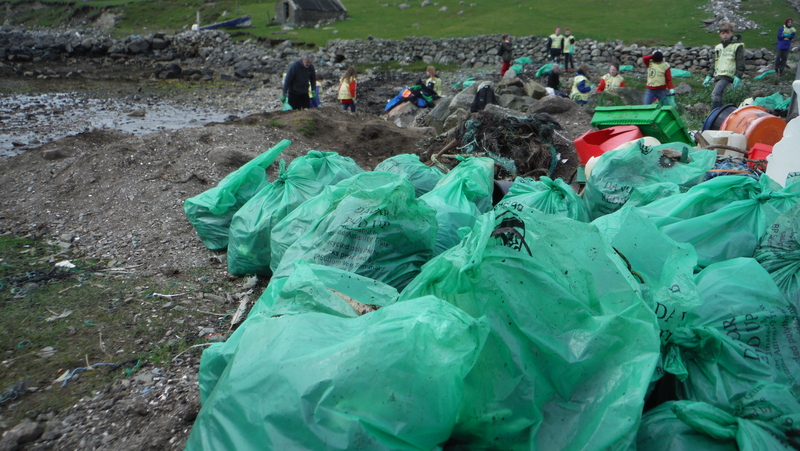 Having just helped out on the Beach Watch Event at Robyn Hoods Bay (a North Yorkshire beach regularly cleaned), the need for the ban to be introduced in England is very obvious as shredded and degrading bags cling to the seaweed along the strand-line, not surprising as 7.6bn were handed out to English shoppers in 2014. 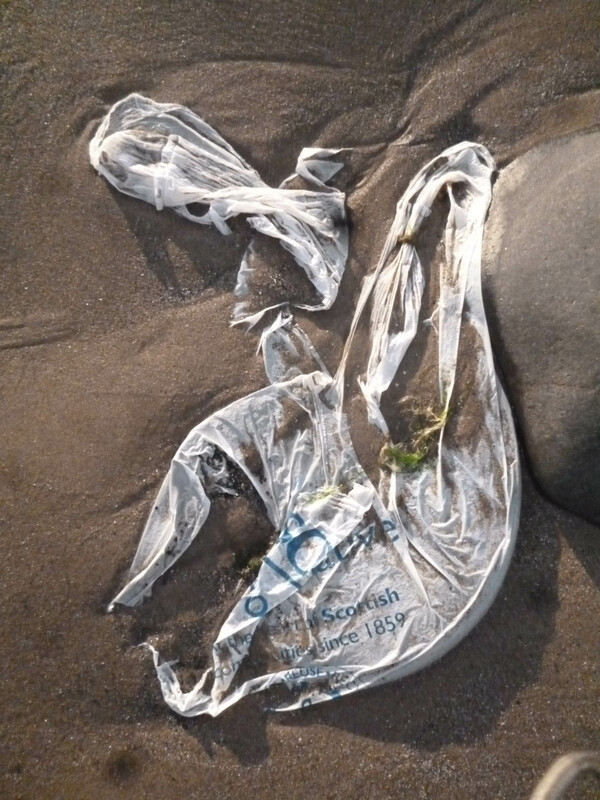 The partial ban will take effect next month (October) and will hopefully will have a similar effect to Wales where there has been dramatic drop in carrier bag litter, in Scotland there as been an 80% drop in their use since 2014. 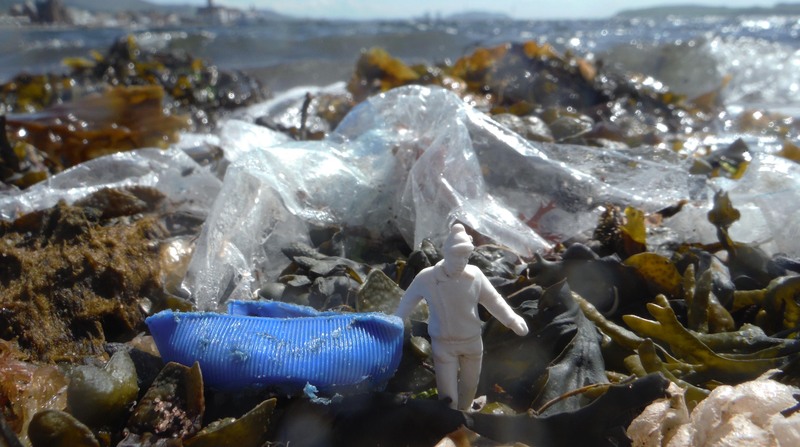 My hope is that MCS 2015 analysis of the Beach Watch Survey will show a marked decrease in the thousands of heavy bags of litter/carbon collected and hauled up the beaches this weekend. 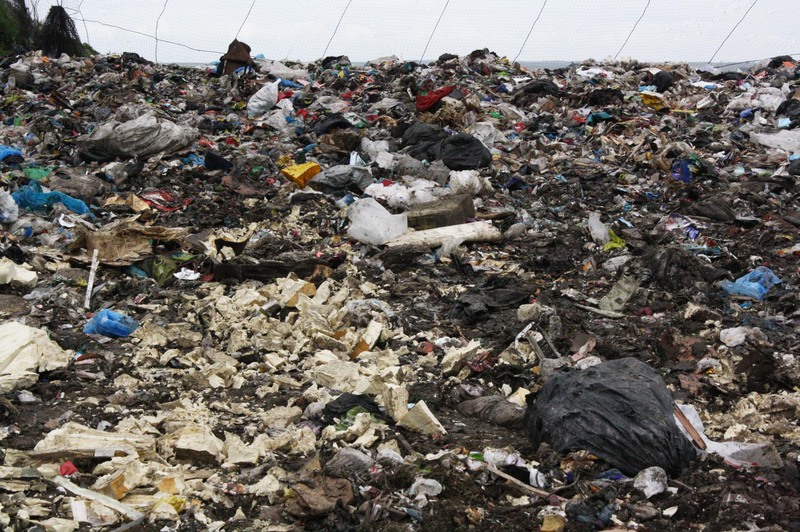 Its estimated 80% of litter will be plastic, the massive bags of litter like all ‘unsorted/mixed’ waste in bins around the UK will be transported to waste transfer stations and then on to landfill sites, such as the one I visited at Caithness last year . 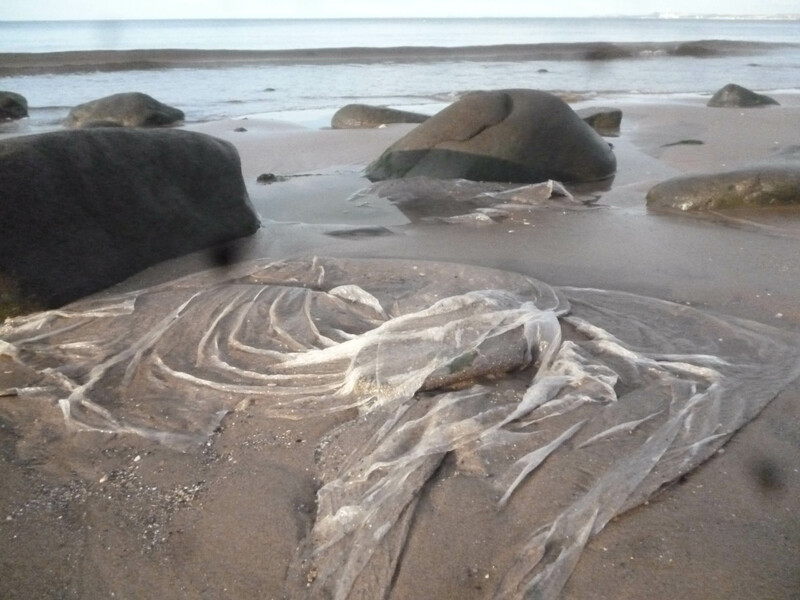 The non-biodegradable plastic (engineered from oil) buried in these sites ironically may last longer than the million year process took to form the oil from marine organisms. The weight of such carbon use and waste is thankfully being felt and highlighted as the Climate Change Conference COP21 approaches, fantastically creative ideas about a new ways of approaching use of resources and reducing environmental damage are being aired BBC R4’s Future Proofing programme explained positive ideas on the ‘Sharing Economy’ you can ‘share’ via the Twitter #future. I along with artists across Scotland ArtCOP Scotland and the World are creating artworks and events to capture in some way the urgency and hope that is needed to draw the commitments and resolve from politicians and most of all from ourselves and our communities. The Capefarewell arts organisation has just launched their Art COP21 events calendar and is encouraging us all to take part with events addressing climate change. 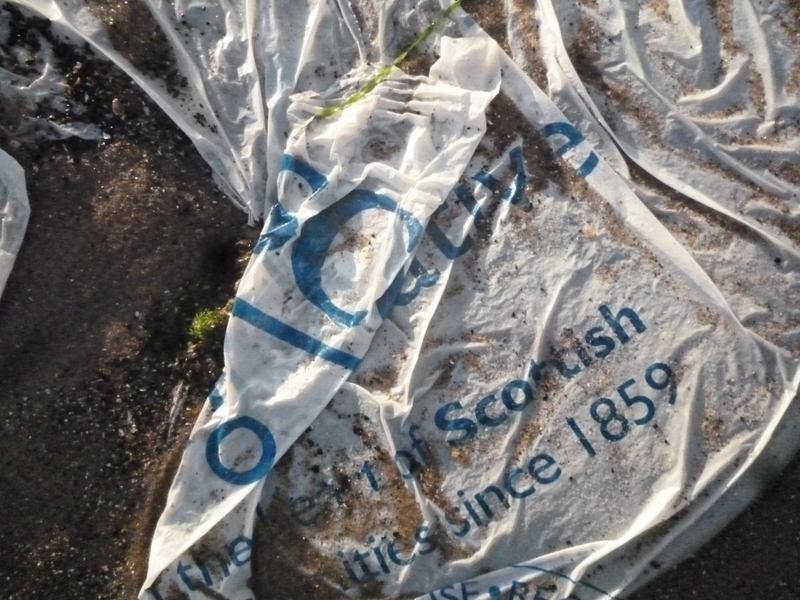 My contribution will begin with a short film compiled from images low down on the tide line of the Clyde . The film will be shown on line here and projected at beach locations I visit during the autumn. For details of locations of the projection locations and dates please click on the blog FOLLOW button above and please share any Beach Watch observations made this weekend by leaving a comment below. Many thanks to Laura Shirra and Noel Hawkins for taking on organising the Beach Watch event in Ullapool, I will share their findings in due course and compare with the previous two years results.